The property market in 2013 is expected to remain buoyant with a few surprises ahead. 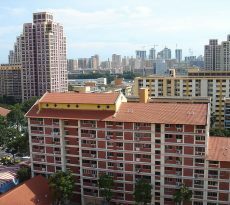 2012 has seen both the HDB resale and private property markets achieving new highs in their price indexes. In the former, a record price was achieved when a HDB flat in Queenstown was transacted at S$1 million in September this year. Meanwhile, over in Bishan, CapitaLand’s Sky Habitat was launched at around S$1,800 per sq ft which has had a lifting up effect on prices of condos in the vicinity. This has earned Bishan a nickname as “a new suburban prime area” as you can still find resale condominiums in Holland and Novena for around the same price per sq ft.
To stem the price increases and excessive liquidity in the market, the government implemented the Additional Buyers’ Stamp Duty (ABSD) in December last year and new loan-to-value (LTV) ratio in October this year to “ensure a more sustainable property market”. Nevertheless, property prices have kept on increasing, albeit at a slower pace, due to a genuine need for homes. The low interest rate environment also plays a part in making home loan instalment affordable and probably has some “retroactive” effect in helping property buyers decide whether to go ahead to buy a property after their intense viewing at property showrooms. Meanwhile, more government land sales (GLS) programme have been announced during the first half of 2013 which will yield about 14,000 private residential units, including 3,100 Executive Condominium (EC) units. With most of the lands sales under the confirmed list located in the suburbs or just on the city fringe, we can expect more mass market projects to be launched. Meanwhile, with the Eurozone crisis now averted, those looking to snap up prime properties on fire sale can shelve that plan, at least for now. Looking ahead, demand for homes are expected to remain buoyant due to the low interest rates. With record prices achieved in both HDB resale and private property prices, we can expect more investors to buy directly from developers. Buying activity will likely pick up after the Chinese New Year with mass market projects expected to do well. Driving demand will be affordability as the quantum price for some units will be likely be below the S$1 million mark. However, that does not mean there investors should avoid other areas as well. There are other hidden gems located at the fringe of the city that are still affordable. 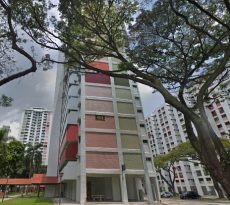 In Balestier, VA Residences located at Boon Teck Road, is offering two-bedroom units from around S$800,000. This is a freehold development by Wang Yang Development Pte Ltd comprising 52 two-bedroom units in one block of fifteen storeys. Other hot projects will be those that are located close to the MRT stations as they generally command a better rental yield. Current projects that still have unsold units near to MRT stations include Naung Residence in Hougang and Kovan Regency in Kovan. In the HDB market, seven land sites have been identified for Build-To-Order (BTO) launches. While an oversupply in BTO flats will generally lead to a decline in demand for resale HDB flats, it does not necessarily translate to a softening in pricing. This is because there will still be those who are downgrading from a private property to buy an HDB flat, just like the transaction in Queenstown. As these investors are generally cash rich, they are willing to pay a premium for an HDB flat that is in a good location, near to MRT stations and commands unblocked views. Hence, we can expect million dollar HDB flats to be the norm. A year for the singles? Much has been debated in Parliament about whether or not singles should be allowed to buy BTO flats direct from the HDB. Currently, they can only buy from the resale market. Next year, an announcement is expected to take place to confirm if this is a yes or a no. Should this occur, we can expect demand for resale HDB flats to soften with a likely decrease in Cash-Over-Valuation (COV). Easing pressure and demand on the resale HDB market will also likely to lead in a marginal softening in prices. 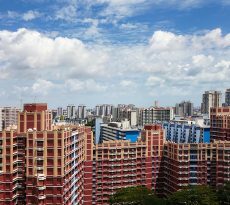 For singles who are mulling to buy a resale HDB flat, it is perhaps wise to wait out until further news are announced next year. With a housing policy that is still centred on a pro-family stance, it is likely singles will be given less priority when applying direct from the HDB. Still, if this policy were to go ahead, it will be good news for singles as BTO flats are generally priced much cheaper than resale HDB flats. On a macro level, the Eurozone crisis still remains a threat. Should the crisis escalate, we can expect private property prices in prime areas to ease by 30 per cent – taking the 2008 crisis as a benchmark. This will definitely favour investors who are cash rich to look for properties that are on fire sale. Property Agents: What Is iCompareLoan Loan Analysis System All About?